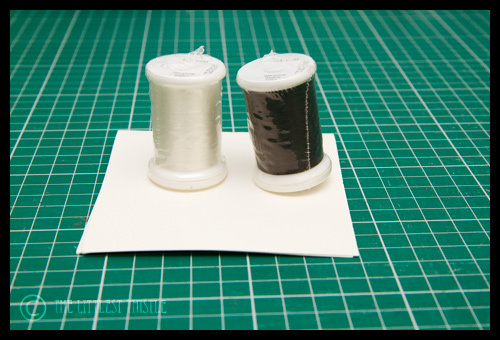 First up, the lovely and generous Lynne sent me some Aurifil monofilament thread after I had asked on her FQ thread announcing the Aurifil sponsorship if they could bring some along for us to try. Wasn’t that nice of her? Now to decide what to do with them… I think this could be a long term WIP. In that pile of half yards, there’s a couple of lovely flannels, a couple of Pezzy prints, a couple of American Jane Punctuation, a couple of Reunion, some Children At Play Paper Hats, some Washi, and unknown computer keyboard type print and some voile. Your x and + blocks are gorgeous! Can't wait to see that WIP move along. It's going to be super pretty. I don't drool – just green with envy!! Do you have plans for the extra fabric you ordered or were they just because purchases? 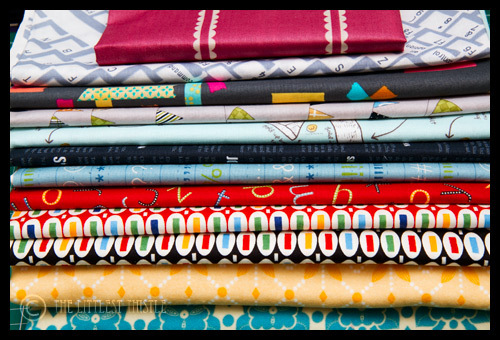 That's a lovely pile of new fabric! And a huge charm swap – you'll be cutting for days!! The x and+ blocks look fabulous. I really like that block, and will have to make some……eventually. You definitely have to take advantage of any discounts. Lots of loveliness in that pile! 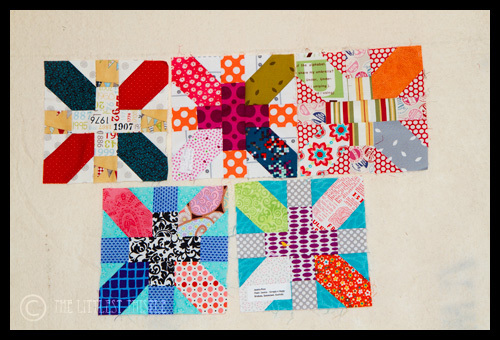 You have some lovely fabric there and your + and x block swaps received look like you got some good ones. Wow, I LOVE those five blocks you received. I have really been wanting to make some of those myself. And your stack of fabric IS very drool-worthy! Ooh, that *is* some happy mail! Yay! Shiiiiiiit!! I thought the meeting was THIS week!! Not that I could have come anyway last week(Spouse at work and my Mum works late on a Thursday) but I would have set my apologies. Sorry!!!!! !